An extra large bespoke dining table like this doesn’t come as standard. 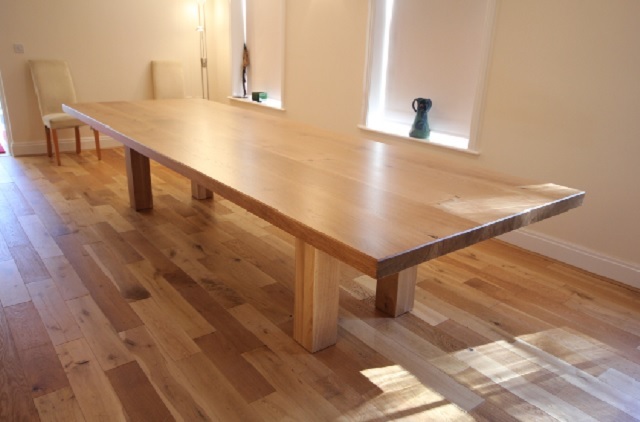 The table was 3.6m x 1.2m and the top was made from 3 inch thick oak. There is no danger of the table wearing out! It will be member of the family for generations to come. The client wanted the table to have simple, clean lines which allowed the beautiful natural timber to come to the fore – hence the nice monolithic design.